We have over 20 years of experience with salvaged cars, in Manchester. We offer Honda, Toyota, and all other Japanese car parts, which are cleaned and checked before being put into stock and they all benefit from a 30 day no-quibble guarantee. Based in the heart of Manchester, we stock a wide range of spare parts available for all types of cars, which are taken out of cars from our own yard. Spares are available for many makes and models of Japanese and Far Eastern cars including Honda, Nissan, Toyota, Mazda and many other makes. Used and salvaged parts are also available at competitive prices. Take a look at our latest arrivals here. We have facilities for breaking cars, to salvage cars and we also have spare parts for sale. We have over 20 years of experience in dismantling cars. 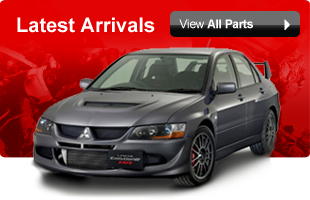 Availability and prices of used Japanese car parts and components can be checked by phone, fax or email. Payment can be made by cash, cheque, debit, credit card WE ALSO ACCEPT PAYPAL. Mail order is available with next day delivery to most parts of UK. Call Us today for any enquiries on 0161 231 8301 or come and see us at our premises in Manchester. We hope to be of service to you soon!